‘Sylenth Is Shocking 2‘ is a big bundled collection of presets for the Sylenth1 VSTi. Inside you can find 155 perfectly made sounds. There is everything you need for your House, Electro, Dubstep, Progressive, Trance, Pop and Dance productions, including leads, basses, synths, pads, arps and effects. With this bank you can create a modern club banger. Inside you’ll find sounds inspired by top artists like Dada Life, Avicii, Hardwell, Dyro, Afrojack, SHM, Dannic, Deadmau5, La Fuente and many more! Only sounds which move the crowd are included! You’ll find everything from deep, distorted, wobbles basses to ultra clean and sharp leads, synths or pads and also dirty, massive leads, all this created for producers who want to make a real club bomb! This pack includes presets which, until now, only artists used to make. Vandalism brings you recreations of the most popular sounds from the last few years. This pack is inspired by the best, letting Vandalism prove oldschool is still alive! 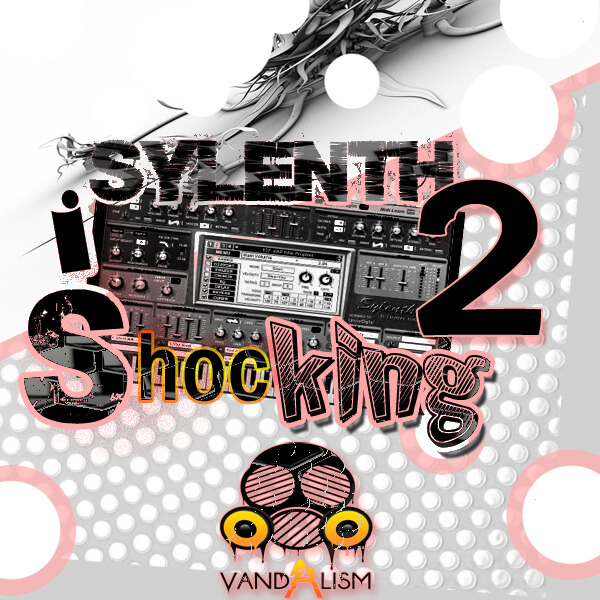 With ‘Sylenth Is Shocking’ Vandalism want to show you power of Sylenth1 and their awsome ability of creating fantastic presets for your favourite VSTi!